Introducing VAHVA to harmonise case management procedures and policies in ministries. The Finnish Government used 16 different case management systems that did not interact with each other and some of which did not meet modern day requirements. Practices for managing data varied from ministry to ministry. To build a joint case management system VAHVA for the Finnish Government based on our Public 360° solution. The aim is to deploy the system in all 12 ministries, in the Office of the President of the Republic of Finland and in the Office of the Chancellor of Justice. The Prime Minister’s Office supports the Prime Minister and the government in the planning of government matters. The office is responsible for practical arrangements relating to decision-making by the president of the republic and the government. Having just one system instead of 16 saves approximately 12 million euros in development costs and an additional one million euros every year in labour and maintenance costs. Data is accessible across organisations. VAHVA supports flow of information and cooperation between ministries in a completely new and profound way. The Finnish Government has been using several ministry- and function-specific systems with varied functionalities for case and document management. It is essential for the work of the Finnish Government that up-to-date information is available to all relevant stakeholders at all times. For example, the Ministry of the Interior is already digitally advanced. However, parts of the ministry have not been using a joint digital system or online services. Previously, interaction between the 16 systems has not been possible. Information that is relevant for the Finnish Government’s functioning and decision-making has been inaccessible and slow to retrieve. Some of the systems were out-of-date and expensive to maintain. Build a shared, user-oriented case management system VAHVA for the Finnish Government and make information – rather than organisation, system or an individual civil servant – central. As case management becomes consistent across ministries, the processes tangent to case management harmonise as well. Information moves quickly across organisational boundaries and the civil servants can focus on the substance of their work. Creating a single, shared system creates extensive savings: one million euros annually in labour costs (from 2020 onwards) and 12 million euros in the former systems’ development and maintenance costs (between 2016–2019). The Finnish Government’s shared case management system VAHVA, based on Public 360° solution, developed in 2017–2020. The first phase of VAHVA was deployed in May 2018 in the Ministry of the Environment, Ministry of Justice and Ministry of Defence. VAHVA deployments will be done in four phases. In the second phase, a mobile client and a light functionality for managing meetings was added. 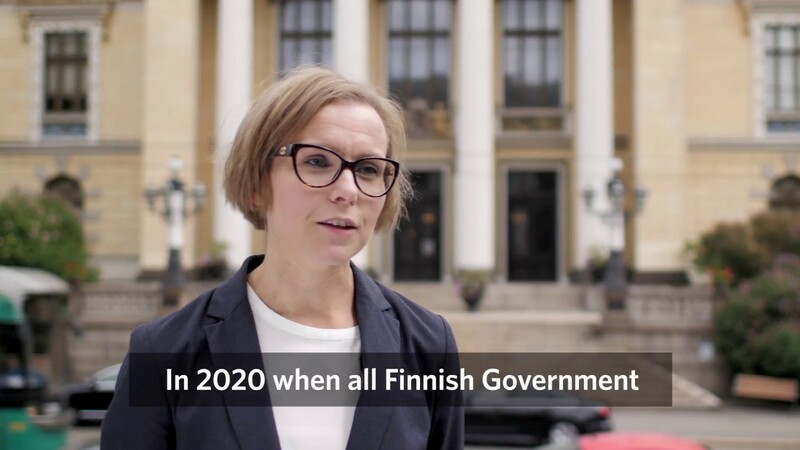 In the third phase (spring 2019) Finnish Government’s current decision-making system will be replaced and the transition to electronic services will be complete in late 2019. In 2020, classified ST3-level data will be brought into the system. In the final phase, EU data and materials will be added. 'The system is very different compared to the systems we formerly used. Our aim was not to digitalise a paper process, but to bring information to the centre,' said Albert.